Asemblées par le Maître de chai au Château de Malliac, certaines des eaux-de-vie entrant dans la composition de cet Armagnac peuvent avoir plus de 10 ans d'âge. 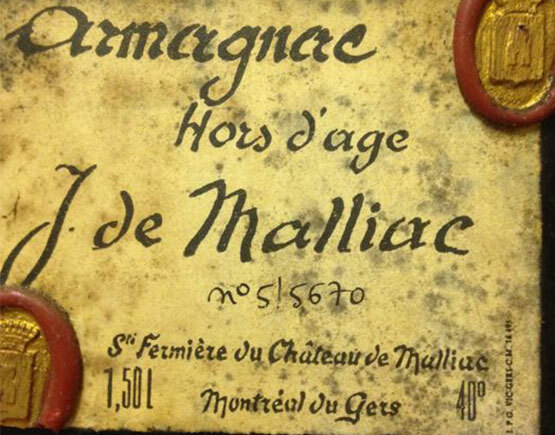 Elles sont originaires des terroirs du Bas Armagnac, du Grand Bas et enfin de la Ténarèze sur laquelle se reouve précisément le Château de Malliac fondé au XIIe siècle par le premier Jehan de Malliac. Encore aujourd'hui, cette bouteille est cachetée à la cire et à la main. 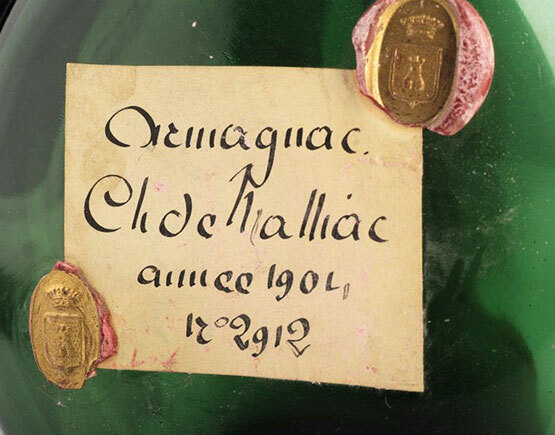 Once created by the Master of Chai at the Chateau de Malliac, the Eau de Vie originate from the unique terroirs of Armagnac-Ténarèze. 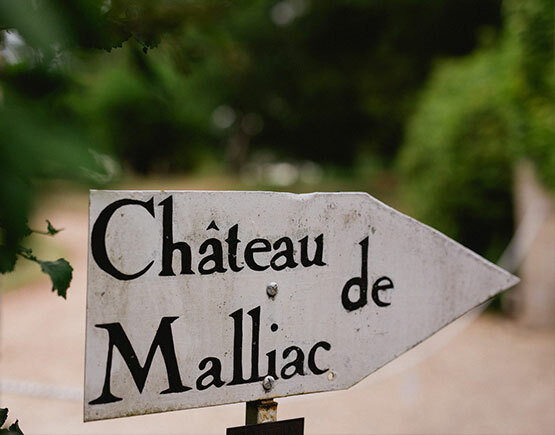 Nowadays, at Chateau de Malliac, founded in the 12th century by Jehan de Malliac, they produce no Armagnacs anymore. Today, the new owner make wine instead of Armagnac. 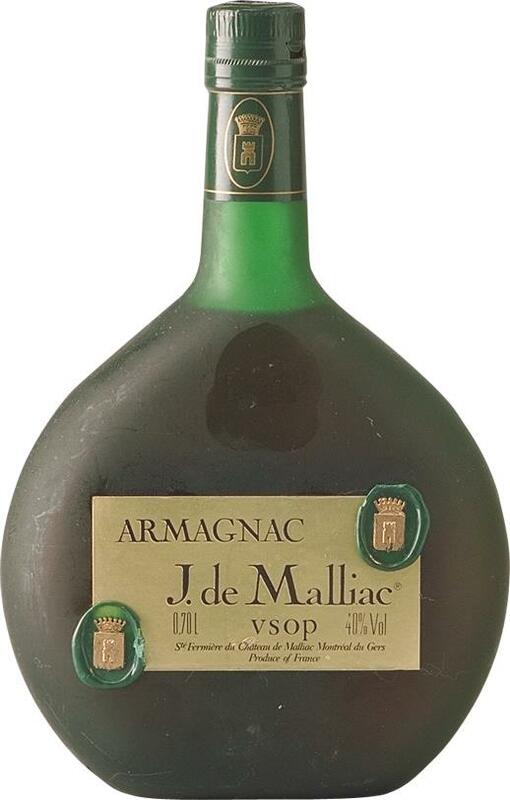 But an Armagnac of this brand has added value because of its rarity. Unlike cognac, the Armagnac is distilled only once and then stored in the typical black oak barrels. Here also develops its dark, amber glow, as well as the characteristic aroma of baking plums, vanilla, licorice and much more. As a rule, it has a stronger flavor than the cognac and therefore described as very noble and supple. Unlike cognac, the Armagnac is distilled only once and then stored in the typical black oak barrels. Here also develops its dark, amber glow, as well as the characteristic aroma of baking plums, vanilla, licorice and much more. As a rule, it has a stronger flavor than the cognac and therefore described as very noble and supple. The climate and the soil, as well as the grape varieties and also the viticulture, are the specific features of the quality of the Armagnac. The decisive criterion, that is and remains the distillation process and subsequent treatment of the distillate, the maturation, Since 1936, the Armagnac process have provided for continuous distillation by law. The combustion device must have a constant flow equipped with double or triple consecutive fuel bubbles. It shall not contain any rectification apparatus, and the alcoholic strength of the distillate shall not exceed 63%. This process guarantees the preservation of aromas and bouquets storing the elegant palate and nasal impressions transferred to the Armagnac after years of aging.